If you are unfairly dismissed and wish to bring a claim under the Unfair Dismissals Act 1977 you will need to have been employed continuously for 12 months. If you do not have 12 months’ service you cannot bring a claim for unfair dismissal or constructive dismissal if you cannot clear this hurdle. That is the bad news; the good news is there are some important exceptions to this 12 months’ service requirement. Let’s take a look at them, shall we? Carer’s Leave act-12 months’ continuous service is not required. It is inevitable that if you bring a claim the employer may well argue that you do not have the necessary 12 months’ service and will deny that you were dismissed arising from any of the exceptions set out above. Clearly, each case will be dealt with on its own facts and circumstances but you will need to be prepared for this argument and ready to put forward facts from which it can be inferred that your dismissal did arise from the exercise of one of the categories listed above. Are you aware of the range of penalties that are set down in legislation in Ireland for breaches of employment law? There is a large number of statutes/acts dealing with all aspects of employment law in Ireland. These acts cover overnighting from unfair dismissal to working time to payment of wages to health and safety to annual leave and rest breaks, etc. In addition to these penalties and employee can always go to the Civil Courts for common law claims such as breach of contract, personal injury, negligence, health and safety breaches, breach of constitutional rights, etc. That is another day’s work. This piece is going to look at the penalties and redress for employees as set out in statute, that is, the various acts on the statute book. Regardless of whether you are an employer or employee, you should find it useful. Compensation of up to 104 weeks’ remuneration in respect of the financial loss due to the dismissal. If there is no financial loss an employee can be awarded 4 weeks’ remuneration. Compensation of up to 2 years’ remuneration. Failure to provide a written statement of terms and conditions of employment within 2 months of starting can be punished as set out in section 7 of the Terms of Employment (Information) Act, 1994. The WRC adjudicator can order the employer to give the statement to the employee and can award up to 4 weeks’ remuneration by way of compensation. The employee can also bring a tort action for having suffered detriment as a result of making a protected disclosure, as set out in section 13, Protected Disclosures Act, 2014, and can seek an order from the Circuit Court as set out in section 11 of the act preventing dismissal prior to the determination of a claim for unfair dismissal. Penalties for breach of Protection of Employees (Temporary Agency Work) Act 2012 are set out in schedule 2 of the Act. It states that the WRC can order rectification of whatever breach of the act is proved, including reengagement or reinstatement, and/or order compensation of up to 2 years’ remuneration be paid to the employee. Breach of the adoptive leave provisions of the Adoptive Leave Act, 1995 can see compensation of up to 20 weeks’ remuneration awarded to the employee, or the WRC making whatever directive order it feels is expedient in the circumstances. Carer’s leave: a WRC adjudicator can award a grant of carer ’ s leave to the employee of such length to be taken at such time or times and in such manner as the adjudication officer may specify, and/or up to 26 weeks’ compensation. (Carer’s Leave Act, 2001). Parental Leave and Force Majeure Leave: an adjudicator can award (a) the grant to the employee of parental leave of such length to be taken at such time or times and in such manner as may be so specified, and/or compensation of up to 20 weeks’ remuneration. (Parental Leave Act, 1998). Maternity leave: breaches of the employees entitlement can lead to an award of compensation of up to 20 weeks’ remuneration and or grant of the leave to which the employee is entitled. (Maternity Protection act, 1994). Complaints about breaches of S.I. No. 131/2003 – European Communities (Protection of Employees on Transfer of Undertakings) Regulations 2003 can lead to compensation being awarded depending on which regulation has been breached. The compensation can range from a maximum of 4 weeks’ remuneration to 2 years’ remuneration. The Protection of Employees (Part-Time Work) Act, 2001 is the relevant act for part time workers. It provides that the WRC adjudicator can require the employer to comply with the relevant provision and/or award 2 years’ remuneration to the employee. (d) require the employer to pay to the employee compensation of such amount (if any) as the adjudication officer considers just and equitable having regard to all of the circumstances, but not exceeding 2 years ’ remuneration in respect of the employee ’ s employment. The Redundancy Payments Act, 1967, section 7 sets out the employee’s right to a redundancy payment. Section 39 allows you to appeal the amount you have been awarded. The Protection of Employment Act, 1977 also obliges the employer to inform and consult with employees in a collective redundancy situation. Section 11 of the Act sets out the penalties for the employer’s failure to consult and notify: a fine of up to €5,000 on summary conviction in respect of a breach of section 9 or section 10. Various orders including for re-engagement, re-instatement or compensation of up to 2 years’ remuneration or €40,000, whichever is the greater. €13,000 can be awarded in contravention of the law in relation to a discriminatory claim in relation to access to employment. Equal status breaches can be penalised in accordance with the Equal Status Act, 2000. This protects you in relation to discrimination in respect of the supply of goods or services. The maximum amount that can be awarded is the amount of the District Court limit in civil cases in contract (€15,000). The National Minimum Wage Act, 2000 protects employees in relation to minimum wage rates. Complaints can be dealt with under section 26 of the act. The adjudication officer can order that the shortfall be rectified and paid to the employee, and the employee can also be awarded reasonable costs in respect of bringing the claim. The employer can also be prosecuted in the District Court for breaches of this minimum wage act. Breaches of the Safety Health and Welfare Act 2005 can see an adjudication officer awarding compensation of such amount as he feels equitable in the circumstances for breach of section 27 of the act, which protects employees from penalisation or dismissal for making a complaint in respect of health and safety in the workplace. The list above is not definitive, but certainly covers the most common types of employment law claim that will be brought to the WRC (Workplace Relations Commission), or Labour Court. A WRC adjudicator has a wide range of discretion for breaches of any particular act, so the various acts referred to above set out the maximum awards possible. The Protected Disclosures Act 2014 struck fear into the hearts of employers when it first came into law. Five years’ salary as an award for an unfair dismissal? Interim relief orders in the Circuit Court preventing dismissals? Eye watering stuff. How has it panned out? Let’s take a look at the interim relief order, effectively an injunction. The first interim relief order under the Protected Disclosures Act 2014 was granted in September, 2016. The case involved two Lifeline Ambulance Service workers who were made redundant. 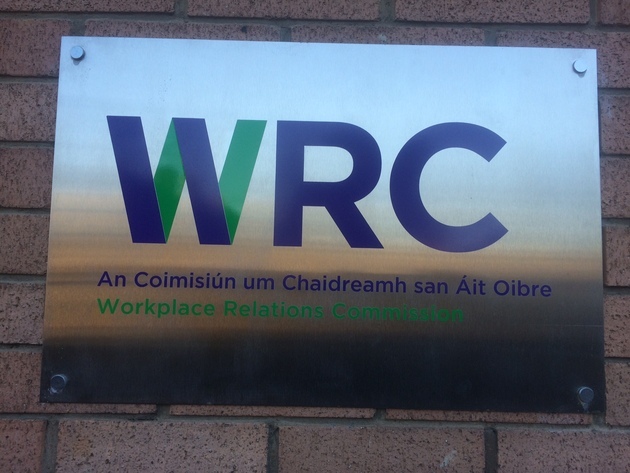 They were granted an order in the Circuit Court directing the continued payment of their salary pending the outcome of a claim for unfair dismissal which they had brought to the WRC (Workplace Relations Commission). They had brought claims to the WRC, on the basis that they were unfairly dismissed for making a protected disclosure to the Revenue Commissioners. The employees contended that they were dismissed for making a protected disclosure to the Revenue Commissioners in January, 2016, and their dismissal was connected to this. The Circuit Court did not find that they were dismissed for whistleblowing or making a protected disclosure, but found that the employees had substantial grounds for claiming this. This was enough-this means that the employees had met the probative burden-the burden of proof-placed on them in the Protected Disclosures Act, 2014. Because all they had to show was “substantial grounds” for claiming a connection between the dismissal and the protected disclosure. The Protected Disclosures act, 2014 is a strong piece of legislation with a wide range of remedies for employees, one of which is this interim relief order preventing a dismissal pending a claim for unfair dismissal for having made a protected disclosure. (Read more about protected disclosures and whistleblowing in this article). This application for interim relief, essentially an injunction, must be made within 21 days of the date of dismissal, and the argument must be that the dismissal was carried out “wholly or mainly for having made a protected disclosure”. If this Court finds that there are “substantial grounds for contending that the dismissal results wholly or mainly” from the making of a protected disclosure the Court can order the reinstatement or reengagement of the worker with full salary. The Court in this case ordered the employees’ salaries to be paid until the hearing of their case at the WRC. An employee can be awarded up to 5 years’ salary if he is successful in a WRC claim for unfair dismissal by virtue of a protected disclosure. If you are an employer this interim relief/injunction prior to a WRC hearing, and then a potential 5 years’ salary award against you is clearly eye watering stuff. In Catherine Kelly v Alienvault Ireland Limited and Alien Vault inc Ms Kelly was also granted interim relief under the Protected Disclosures Act, 2014. Ms Kelly, an office manager, made some complaints to her employer about health and safety issues in the office workplace. The employer dismissed her and claimed that the decision to dismiss her was made some days before her complaints. Cork Circuit Court, however, found that she had substantial grounds for claiming that her dismissal was linked to her protected disclosure and granted her an interim relief order preventing the dismissal and keeping her on full pay until her case was heard in full by the WRC. 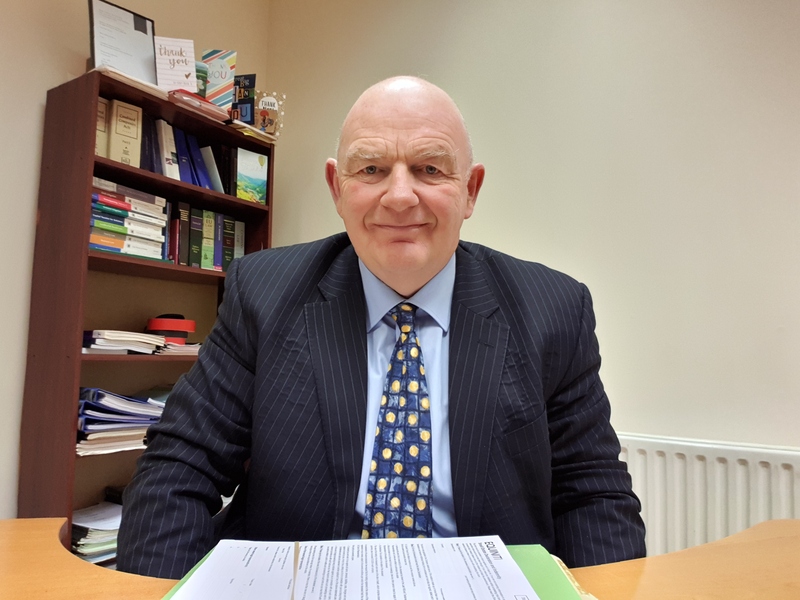 In Dan Philpott v Marymount University Hospital and Hospice Mr. Philpott was seeking an injunction preventing his dismissal under the Protected Disclosures Act, 2014. He had commenced employment in the hospital in May 2014 on a 5 year fixed term contract. Mr. Philpott was told, however, that his contract was going to be terminated in December, 2014 due to interpersonal difficulties between him and other staff. Mr. Philpott sought an order in the Circuit Court preventing his dismissal on the grounds that he had made protected disclosures. The Circuit Court, however, recognised that Mr. Philpott would not have the necessary 12 months’ service for an unfair dismissal claim under the Unfair Dismissals act, 1977-2007, and found also that he had failed to meet the threshold of proof-substantial grounds-in contending this dismissal was connected to a protected disclosure. In fact, the Court held that his disclosures did not constitute protected disclosures as defined by the Act. It is worth noting that in all these cases the employee is not obliged to mark or label his disclosure as a protected disclosure for the Protected Disclosures Act, 2014 to apply. The employee’s motive is also irrelevant when it comes to determine whether it is a protected disclosure or not. This act has serious potential consequences for employers, particularly if an employee is dismissed, for whatever reason, after (and not necessarily immediately after) making a protected disclosure. For employees, it is an extremely useful weapon for the employee can now obtain in the Circuit Court what is essentially an injunction preventing his dismissal pending an unfair dismissal claim. 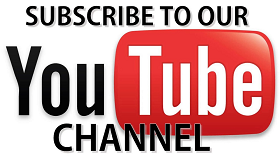 The Protected Disclosures Act 2014 came into law in July of 2014. The Act provides protection to “workers” against dismissal for having made a protected disclosure. (A “worker” includes employees (public and private sector), contractors, trainees, agency staff, former employees and interns and members of an Garda Siochana). The Act also provides other protections to employees such as immunity from civil liability and a right of action in tort against anyone who causes him detriment as a result of making the protected disclosure. The principal parts of the act are Part 2 which deals with protected disclosures to various persons and Part 3 which deals with the protections afforded to the employee. A protected disclosure involves the disclosure of information by a worker which he believes shows “relevant wrongdoing” and which came to his attention through his employment. The motivation of the employee in making the disclosure is irrelevant. (h) that information tending to show any matter falling within any of the preceding paragraphs has been, is being or is likely to be concealed or destroyed. (4) For the purposes of subsection (3) it is immaterial whether a relevant wrongdoing occurred, occurs or would occur in the State or elsewhere and whether the law applying to it is that of the State or that of any other country or territory. (5) A matter is not a relevant wrongdoing if it is a matter which it is the function of the worker or the worker’s employer to detect, investigate or prosecute and does not consist of or involve an act or omission on the part of the employer. The disclosure can be made to the employer or other responsible person. It may also be made to a prescribed person-that is, a person prescribed by the Minister for Public Expenditure and Reform as suitable to receive disclosures eg a regulatory body. It can also be made to a legal advisor or trade union advisor or to a government Minister. the worker has previously made a similar disclosure but nothing has been done. Breaches of the Protected Disclosures Act 2014 can lead to a number of reliefs for the worker. These include an award of 5 year’s remuneration to the employee for an unfair dismissal as a result of a protected disclosure by the employee. This is in stark contrast to the maximum award under Unfair Dismissals legislation of 2 years remuneration. The employee can also seek interim relief from the Circuit Court preventing them from being dismissed pending the hearing of their claim for unfair dismissal as a result of a protected disclosure. See section 11 of the Protected Disclosures Act, 2014.
protection from penalisation by the employer (section 12 of the Protected Disclosures Act, 2014); a complaint can be made to a Rights Commissioner who can award up to 5 years’ salary to the worker. Section 13 of the Act provides a right of action in tort for any detriment suffered as a result of making a protected disclosure. “Detriment” includes a) coercion, harassment, or intimidation; b) discrimination, disadvantage; c)injury, damage or loss, d) threat of reprisal. Section 16 provides protection to protect the identity of the whistleblower. The employee can also bring a claim under the Protected Disclosures Act 2014 without any service requirement, unlike the requirement of 12 month’s service for an unfair dismissal claim. So the employee can bring a protected disclosure on the 1st day in the job. Employers are naturally worried about this as it affords a degree of protection to the employee which could be abused to prevent dismissal on reasonable and fair grounds unrelated to the protected disclosure. Employers are also concerned that employees are protected where they wrongly believe that particular information is true. This applies even where the information does not amount to an offence. The UK Court of Appeal decision in Babula v Waltham Forest College was a decision in such a case and held that the employee could not be expected to know that particular facts amounted to a criminal offence. Despite this, the Act does not give the employee carte blanche to carry on any way they like and then seek the protection of the legislation by making a disclosure. Also the Act will not protect an employee where the employee fails to comply with his own legal obligations under his contract of employment. A clear, comprehensive policy to deal with whistleblowing, as opposed to workplace grievances, should be created by the employer. If the employer does not have one he leaves himself open to the discloser having to avail of external disclosure channels which may be more damaging. that the identity of the whistleblower will be protected and he/she can rely on confidentiality. Nevertheless, employers will need to be careful that complaints or grievances of employees are dealt with under the grievance procedure and that protected disclosures are dealt with under a separate policy dealing with protected disclosures. It is easy to imagine situations where an employee’s personal grievance or complaint could link to a broader “public interest” workplace concern. This is why employers will need clear and separate policies dealing with both grievances and protected disclosures. An employer may have a hard time defending a claim that an employee is being penalised for making a protected disclosure in the absence of a clear whistle-blower policy. If you need a whistleblower policy for your workplace you will find one in statutory instrument 464 of 2015. There is a code of practice prepared by the Workplace Relations Commission setting out best practice in relation to the Protected Disclosures act, 2014. A significant change came into effect in Ireland from June, 2018 in relation to whistleblowing. A new EU wide directive concerning trade secrets (Trade Secrets Directive 2016/943) was given legal effect in Ireland by way of a Regulation which amends Section 5 of the Protected Disclosures act 2014. This Regulation (Statutory Instrument 188/2018) requires the whistle-blower who uses or reveals a trade secret as part of the protected disclosure to prove their motivation for dong so was in the public interest. Prior to this change the motivation of the whistle-blower was irrelevant (Section 5(7) Protected Disclosures Act, 2014). A trade secret must be proved by the trade secret holder or employer and it must be proved that it has commercial value because it is a secret. If the whistle-blower cannot prove his public concern motivation he can be fined up to €50,000 and/or a term of imprisonment of 3 years.